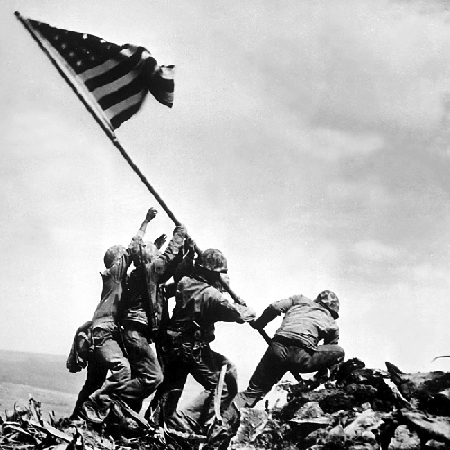 World War II was the first military conflict in which Radio became a major player. The technological advancements made before and during the war, made possible many of the electronic marvels that we take for granted today. Electronic navigation, ground to air communications involving planes, radar, sonar, guidance systems and even modern day television were all outgrowths of technology that was employed and perfected during World War II. The gallery below is a sampling of some of the communications devices that were used by our military. 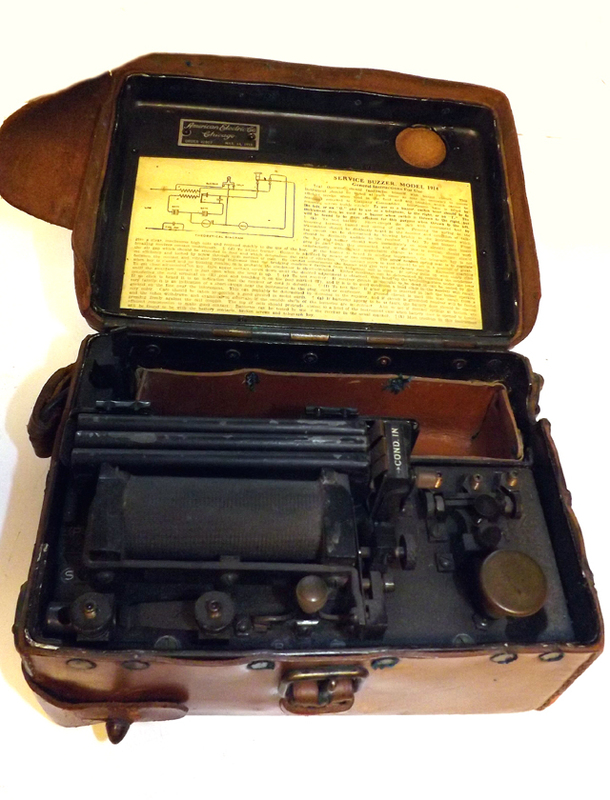 This World War-I vintage field telegraph set, manufactured for the U.S. Army Signal Corps under a contract with American Electric Company of Chicago, was an example of the early beginnings of government contracted communications equipment placed into use by the military. By the advent of the second World War, many manufacturers of household and industrial products, ceased non-military manufacturing in order to provide parts and equipment for the war effort. 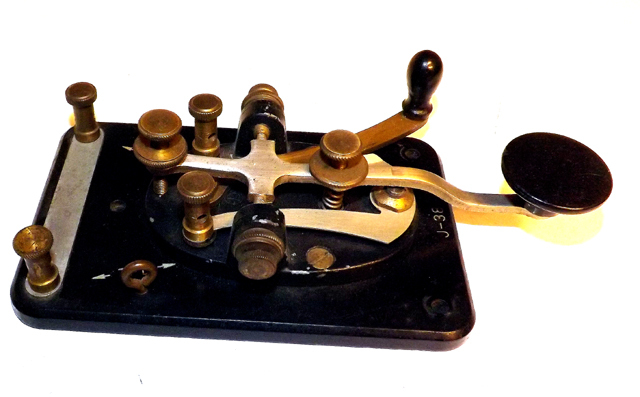 The military spec J-38 telegraph key, manufactured by the T.A. McElroy Company, was used extensively by U.S. forces in World War II. After the war, hundreds of these ruggedly designed keys made their way onto the military surplus market, and were acquired by ham radio operators. 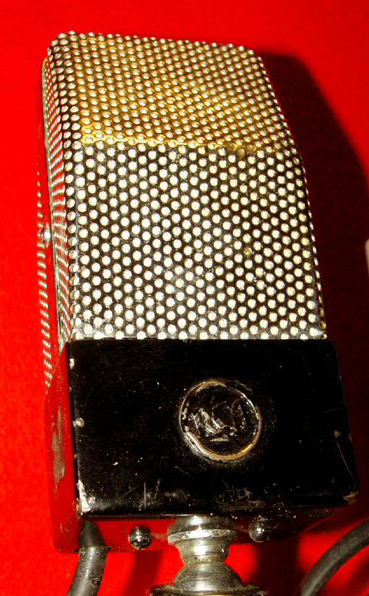 The J-38 key, along with McElroy's other products such as vacuum tube code practice oscillators and automated code instructional devices, have become an iconic part of post-WW-II ham and commercial radio telegraphy. The museum has, in it's collection, many variations of "J" series telegraph keys by various manufacturers. 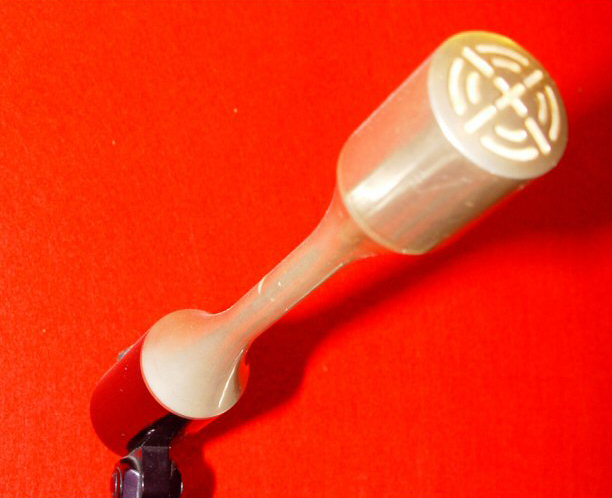 Below is an example of a key that is of interest not only to radio collectors, but also to model train enthusiasts. Like many industries during the World War II era, the Lionel Toy Train Company dedicated it's manufacturing facilities to the production of wartime equipment. 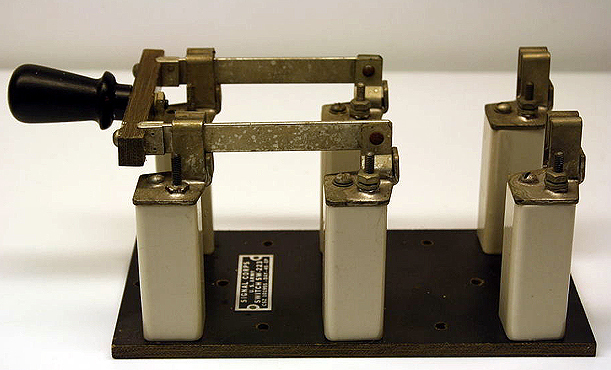 Here we see that the J-38 telegraph key, shown above, was actually manufactured by that company. Note the Lionel trademark in the lower left area of the key assembly's bottom plate. The key shown above is a US Signal Corps standard J-47 key assembly from WW-II. It is special because it was intended for use by field soldiers. The clamp is made go around the operator's leg below the knee. The operator was then provided with a somewhat stable platform to send code in the field. 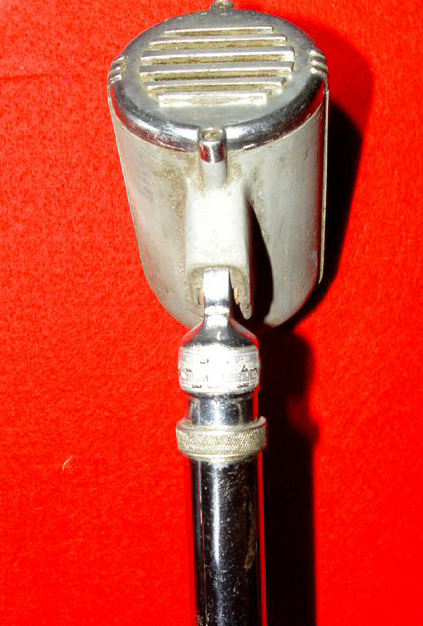 This SW-223 two-pole-double-throw knife switch, custom manufactured for the U.S. Army Signal Corps, was used as an antenna switch on many WW-II field transmitter installations. 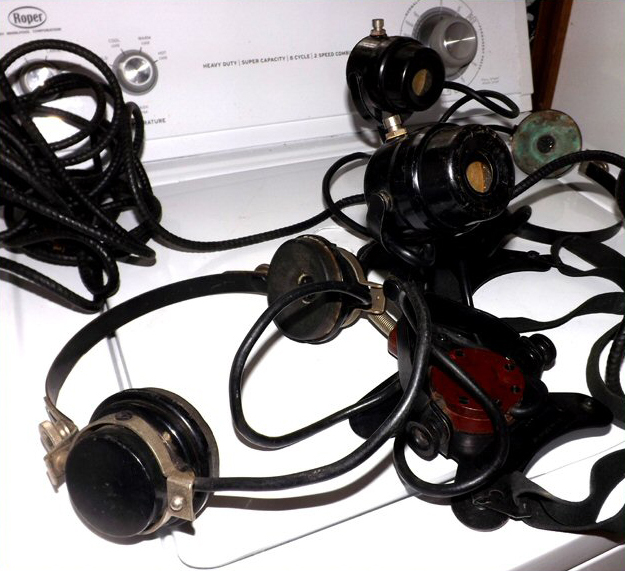 Like the J-38 code keys, many of these switches found their way onto the post-war surplus market and were picked up by ham radio and short wave operators as a means for switching open wire antenna systems. 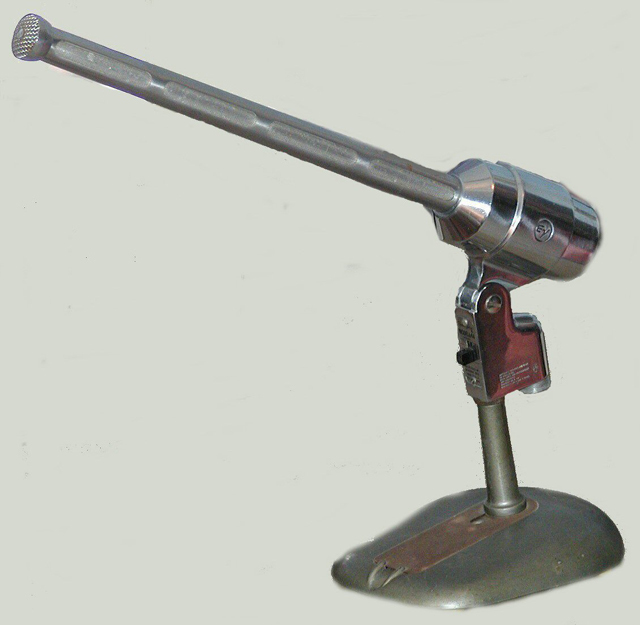 E.H, Scott Model SLRM receiver manufactured for military and maritime use. From the museum's "Military Radio Gallery," this rare BC-224 receiver was first introduced circa 1942, and became a standard fixture in WW-II aircraft such as the B-24 and B-29. 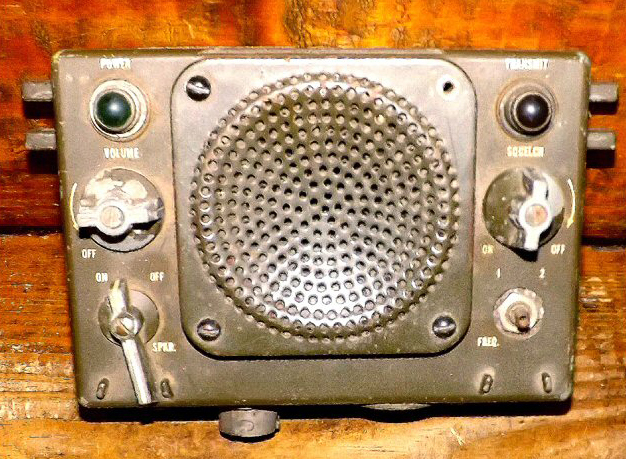 An extremely rugged and well designed wartime receiver, many of which fell into the hands of amateur radio operators after the War, BC-224s are highly sought after by collectors more than seventy-years after they first saw service. Click the image above to see the war-time manual for the BC-224 series of radios. 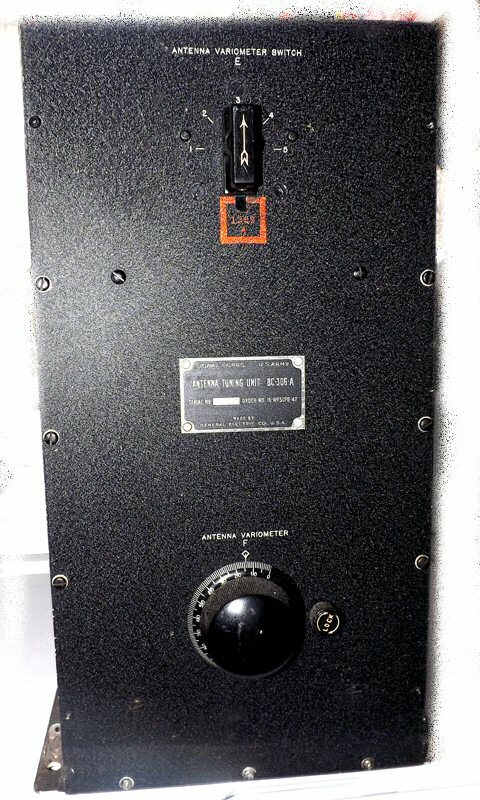 The museum recently acquired this rare Abbott Industries DK-3, 2-1/2 meter tuned oscillator transceiver which dates to the early years of World War-II. First introduced in 1939, this device was ideal for early service on the war front because of it's high frequency line-of-site capabilities. Today, operation of tuned oscillator transmitters is prohibited by the FCC, and also this set falls within the present frequency range of a commercial aircraft band, so it can't legally be placed on the air. It is, however, an excellent example of the progress that had been made, prior to WW-II, in the then experimental VHF realm, and how that emerging technology was readily adapted for Wartime service. 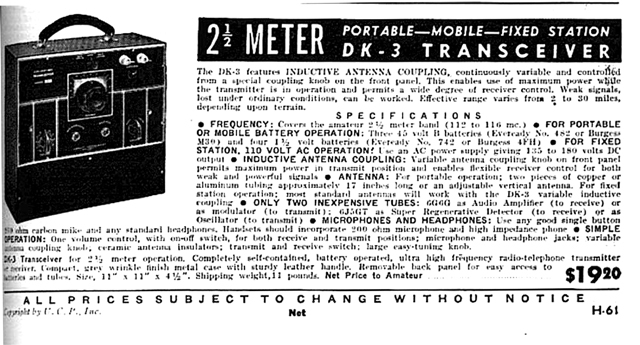 An ad from a WW-II era QST magazine is displayed below, giving the specifications of the DK-3. Interestingly, the unit above also bears a label indicating that it once was the property of WHHI, a commercial broadcast radio and television station based in Hilton Head, SC. The museum is currently attempting to learn more about the post-war history of this piece of equipment. 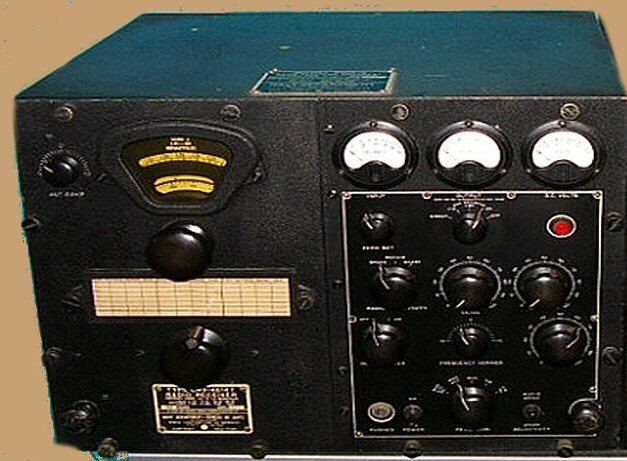 The ARC-5 receiver and transmitter were work horses in military and aircraft service during WW-II. Boasting 125 watts output from a pair of 1625 output tubes, these sets became popular with budget conscious ham operators after the war. 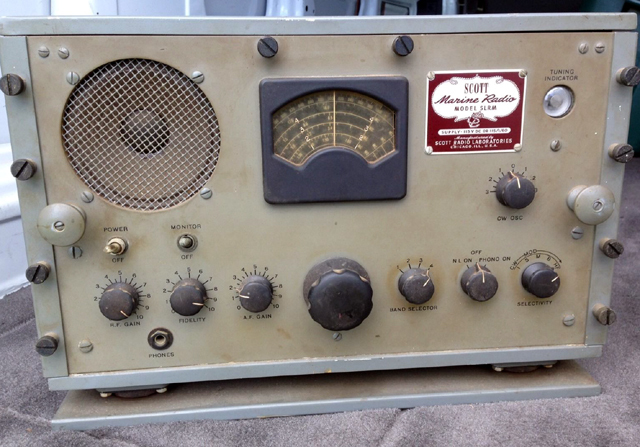 During my high school ham club years, many of the guys in the club ran converted ARC-5 transmitters and receivers from the post-war surplus market. The United States Navy operated several quasi-amateur radio stations for the purpose of training Naval Reserve personnel. 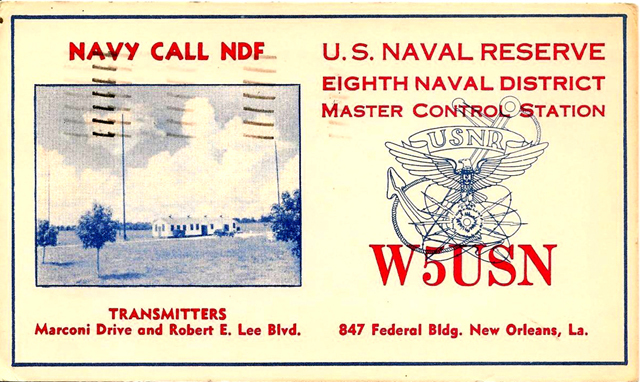 One such training installation, which was set up as part of the military inspired mid-20th Century development of the New Orleans, Louisiana lakefront, was radio station W5USN. The station was located on man-made land that was created in the 1930s through a joint project of the Works Progress Administration and the Orleans Parish Levee Board. Typical of the many rapidly built wood frame military installations along Lake Pontchartrain, that resulted from a scurry of World War II defense activities that took advantage of the newly created land, W5USN continued to operate for many years after the war. In the early 1950s, the station was relocated to land near the Camp Leroy Johnson Army base which was only a few miles from the original site. We feature W5USN as part of our military radio exhibit, since it is vivid in the childhood memories of our founder and chairman, John DeMajo. He and his late father visited this installation in the early 1950s, and as a young child interested in radio and electronics, the memories of that visit were cherished as part of his New Orleans history. 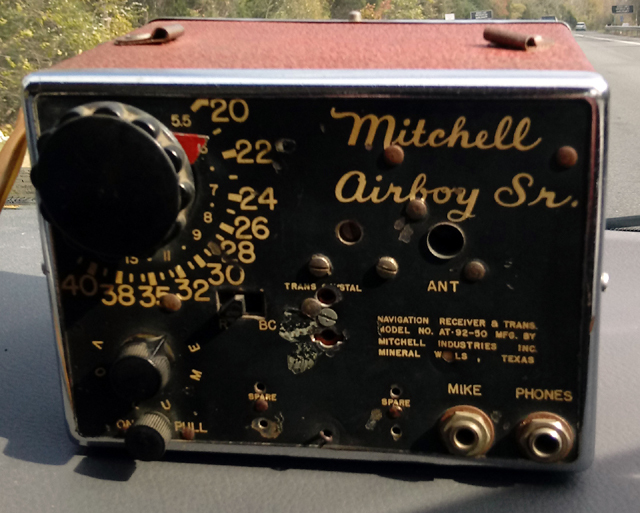 1947 Mitchell Airboy AT-92-50 radio was made for aircraft use ny Mitchell Industries of Mineral Wells, Texas. General Electric produced these TBS VHF transmitters for the United States Coast Guard and the Navy. This one bears the military model number CG-52093. 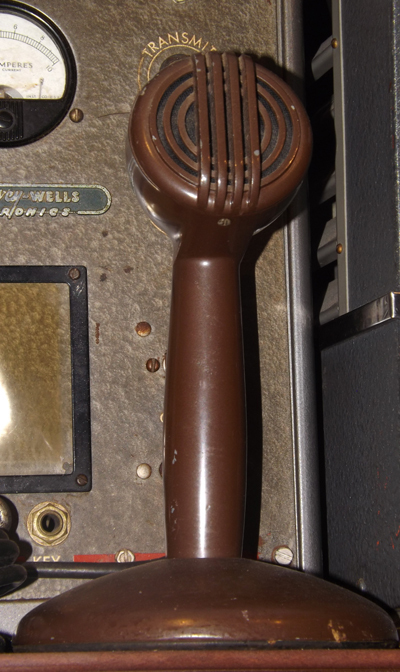 This "beefy" little transmitter, originally served as a ship-to-shore radio, and the same units also provided a means for bridge-to-bridge communications in a fleet situation. It utilizes a pair of medium power 808 output tubes in the RF final amplifier. The museum wishes to thank Jim Lewis, W8MGZ for the donation of this exhibit. Control head from a US Military version of a Motorola police and fire service VHF radio. The military version has the same controls and functions, but it is supplied in a "mil-spec" case designed to stand up in more hostile environments. The C-847U, which is the war-time military designation, was later used throughout the post-war years in police, fire and emergency vehicles throughout the US. World War II vintage BC-306A, by General Electric, was used to couple military transmitters to random length wire antennas used in the field. 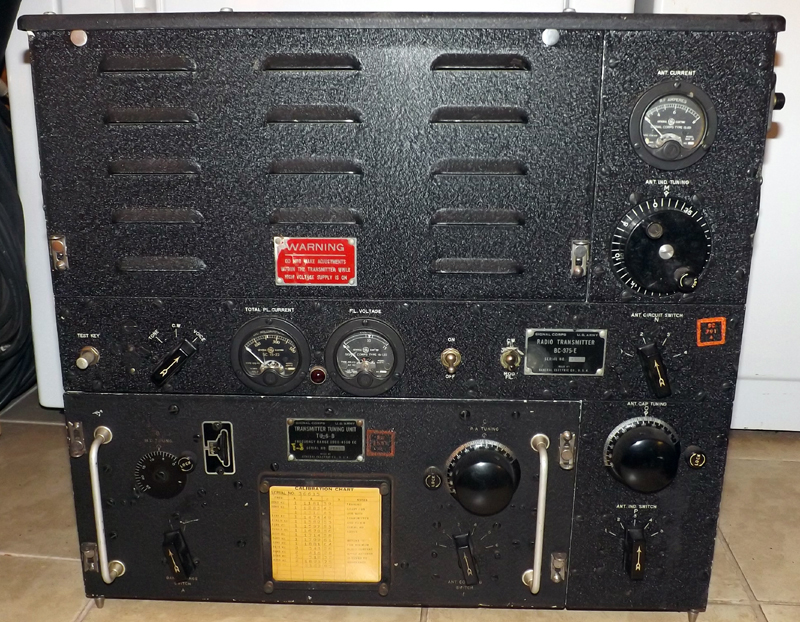 Another vintage World War II transmitter was the BC-375-E that was used in the B-17 "flying fortress" aircraft.. It produced around 70 watts of CW or plate modulated AM signal. This example was made by General Electric. 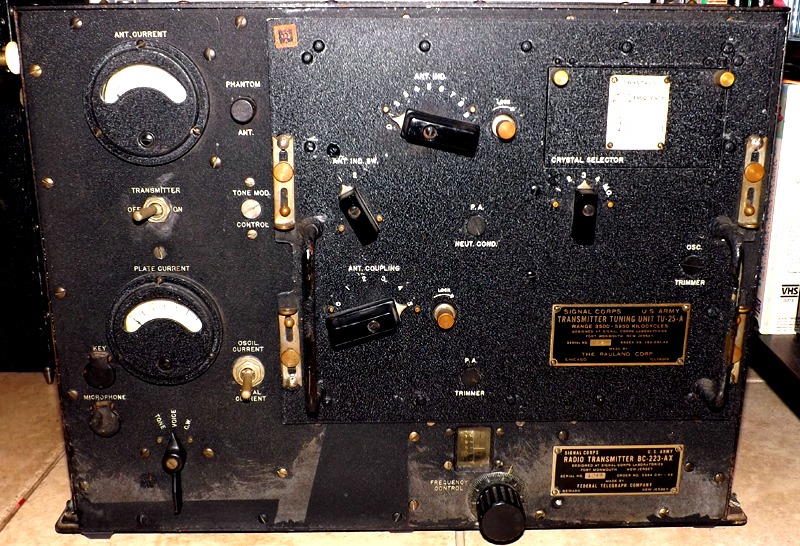 To see a video about how this transmitter was operated, click the photo. 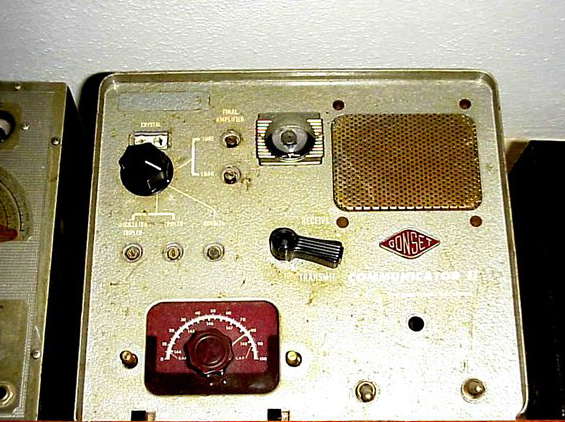 Another World War II relic is this BC-223-AX transmitter with built in antenna tuner. 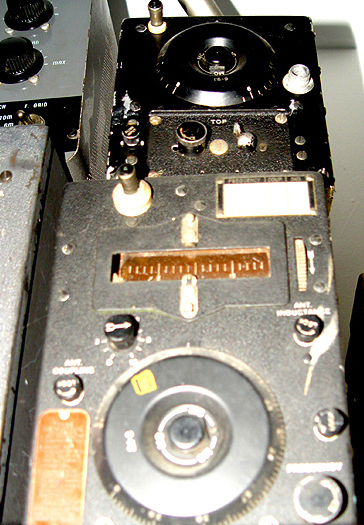 A DZ-2 aircraft direction finder from World War II is shown above. 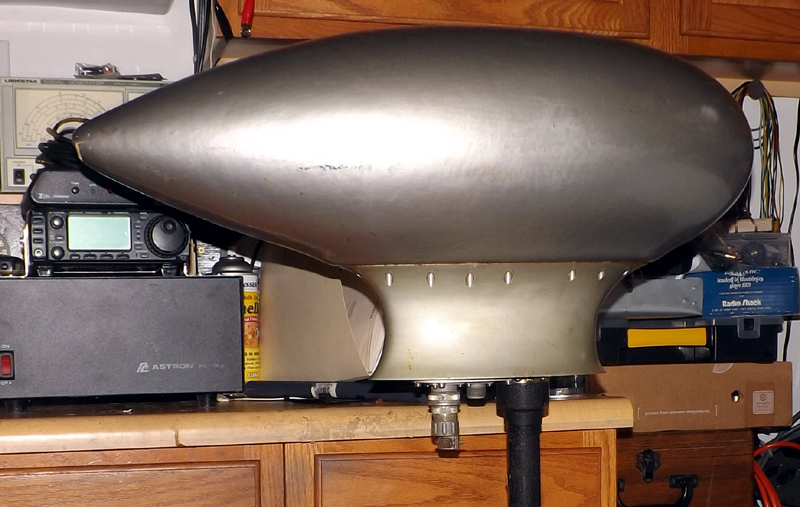 The companion antenna is displayed below. 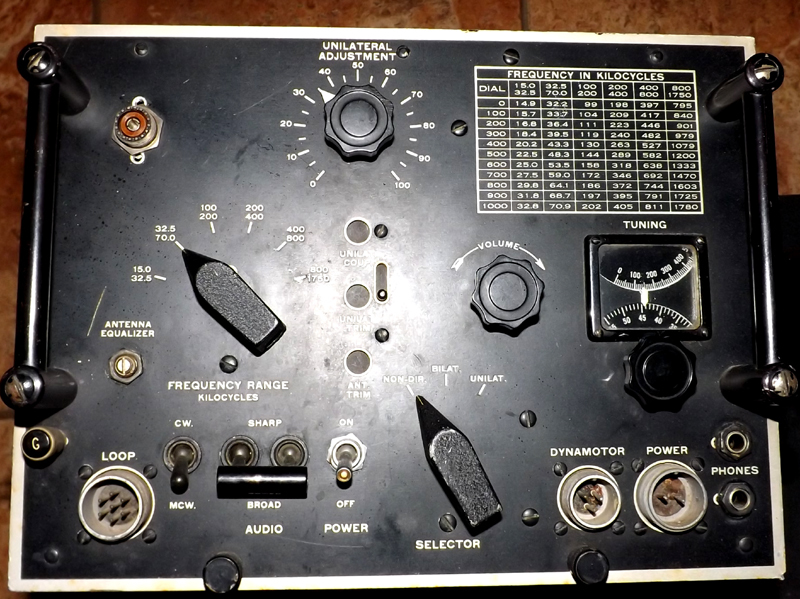 A military frequency standard, the BC-225, was used to check transmitter and receiver frequencies prior to the days of the digital frequency counter. More information about this unit is available on the following page under test instruments. This interesting World War II vintage receiver, built for the British Government, is a recent addition to the Museum Of Yesterday's military electronics collection. The unit, which is a Type 78 manufactured by Standard Telephone and Cables Ltd., saw service first as the radio on a Sunderland flying boat during WW-II. At the end of the war, it became the receiver at station GTE3Z, the British Army's Command School in Kent south of London during the early 1950s. An interesting side note is that the IF transformers in this unit were manufactured by the Marconi Radio Company. U.S.Army field phones dating from World-War II era. 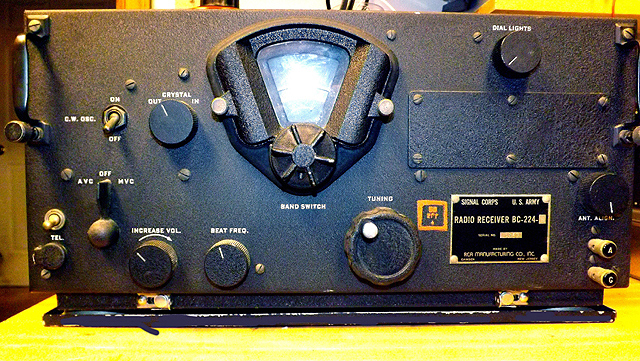 A similar E.H. Scott military receiver (WW-II Vintage) to one that the museum owned. The museum's prized Scott was destroyed in the Hurricane Katrina Flooding in New Orleans in 2005, however a photo of it can be seen on the last page of the Communications gallery in the photo of our ham shack display at the time. It is the last photograph on the page showing the chairman's young daughter at the controls of the "rig." 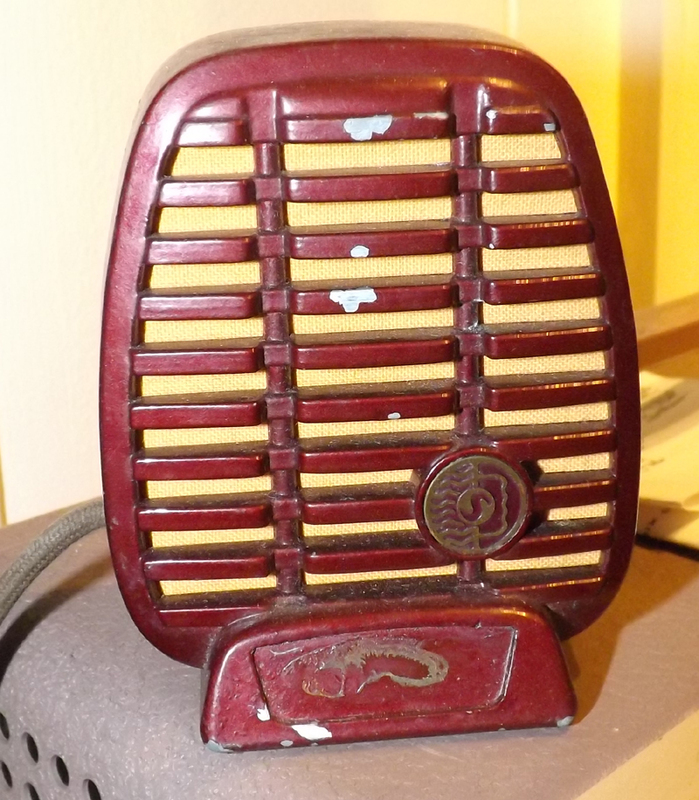 We are now attempting to locate a replacement for this radio. 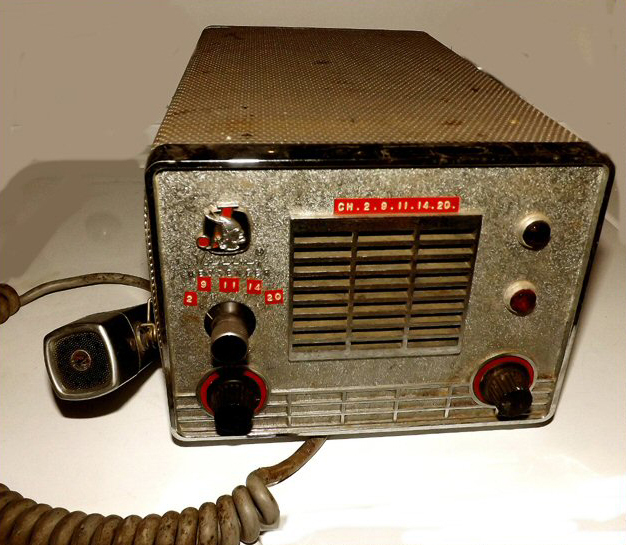 The Hallicrafters S-102 series VHF receiver was a later product that was intended to be a low cost solution for monitoring the 140-149 Mhz spectrum, which included both the amateur two meter band as well as certain Civil Defense, MARS and other emergency services. It is an AM only receiver, so the S-102 became obsolete as this spectrum gave way to more efficient FM transmissions. 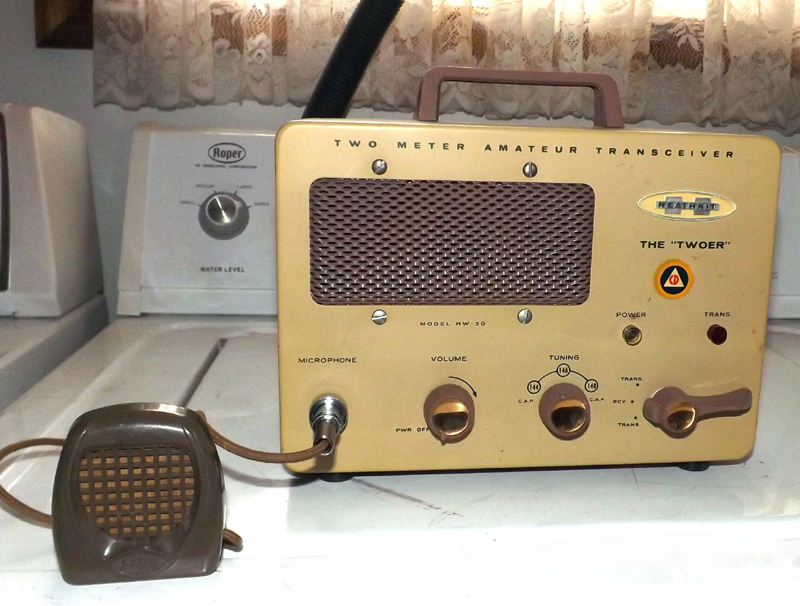 Like the Gonset Communicator and the Hallicrafters S-102 VHF monitor receiver, the Heathkit "Twoer," which was primarrily offered as a "Ham" radio, found application in the Civil Defense and MARS services. Also an AM device, these radios became obsolete as the two meter amateur and VHF public service bands switched to FM transmission mode. 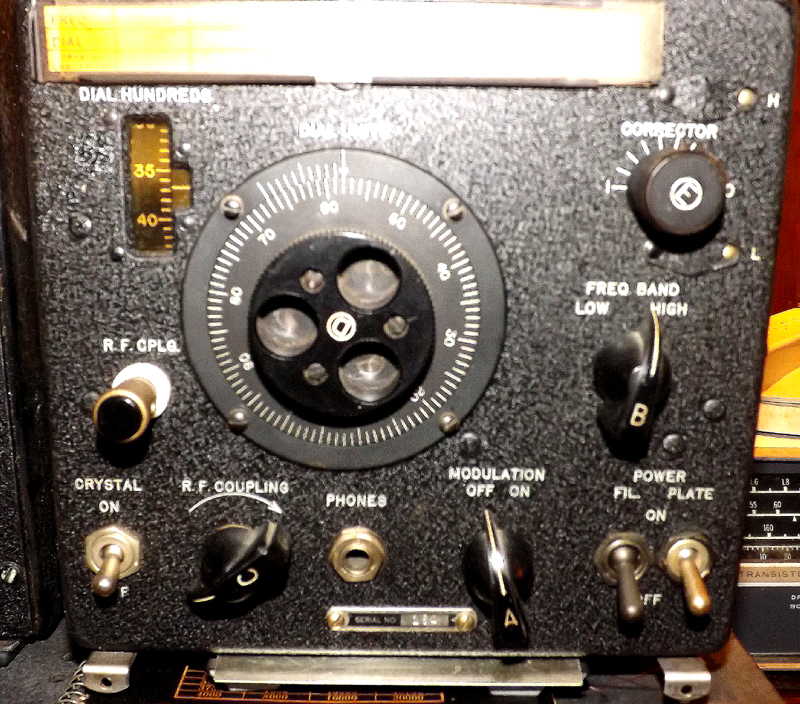 Although not specifically a military radio, this transceiver was used extensively by the railroads, including military railroads, as a relay link between railroad companies and their rolling stock. 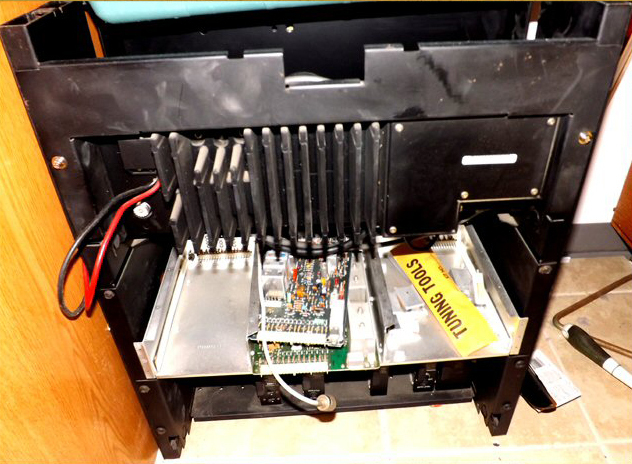 It is a VHF transceiver / relay unit that was mounted along the trackage to boost weaker signals coming from the VHF radios that were installed on the rolling equipment. Thanks to Mr. Robert Dickinson of Richmond, VA. for the donation of this exhibit. The Citizens' Band radio service originated in the United States as one of several personal radio services regulated by the Federal Communications Commission (FCC). These services began in 1945 to permit citizens a radio band for personal communication (e.g., radio-controlled model airplanes and family and business communications). In 1948, the original CB Radios were designed for operation on the 460 MHz–470 MHz UHF band. There were two classes of CB radio: A and B. 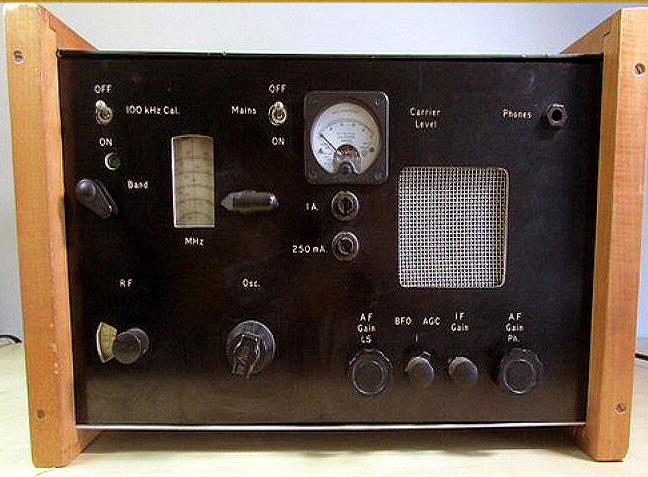 Class B radios had simpler technical requirements, and were limited to a smaller frequency range. Al Gross established the Citizens' Radio Corporation during the late 1940s to manufacture Class B handhelds for the general public. Ultra-high frequency (UHF) radios, at the time, were neither practical nor affordable for the average consumer. In 1958 the Class D CB service was created on 27 MHz, and this band became what is popularly known today as CB. There were only 23 channels at the time; the first 22 were taken from the former Amateur Radio Service 11-meter band, and channel 23 was shared with radio-controlled devices. Some hobbyists continue to use the designation "11 meters" to refer to the Citizens' Band and adjoining frequencies. Part 95 of the Code of Federal Regulations regulates the Class D CB service, on the 27 MHz band, since the 1970s and continuing today. Most of the 460–470 MHz band was reassigned for business and public-safety use; Class A CB is the forerunner of the General Mobile Radio Service (GMRS). 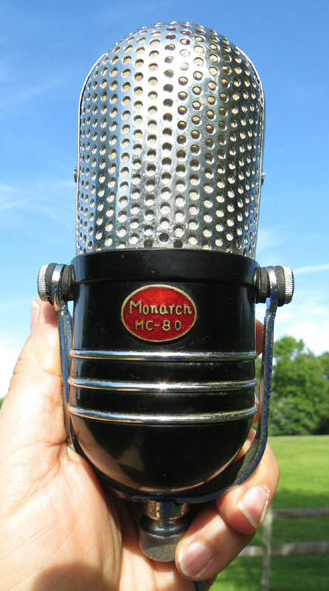 Class B Citizens' Band is a more distant ancestor of the Family Radio Service. The Multi-Use Radio Service is another two-way radio service in the VHF high band. An unsuccessful petition was filed in 1973 to create a Class E CB service at 220 MHz, which was opposed by Amateur Radio organizations and others. There are several other classes of personal radio services for specialized purposes (such as remote control devices). 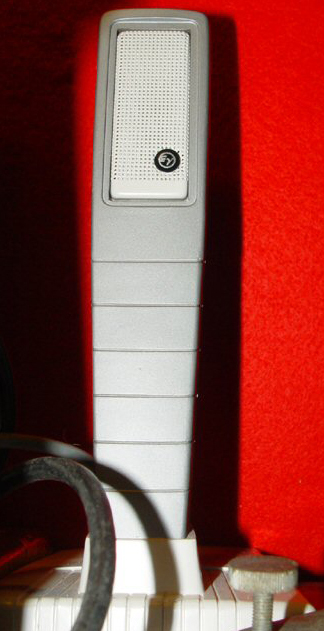 Some of the first Citizen's Band transceivers to appear on the scene in the late 1940's were manufactured by the Vocaline Company. 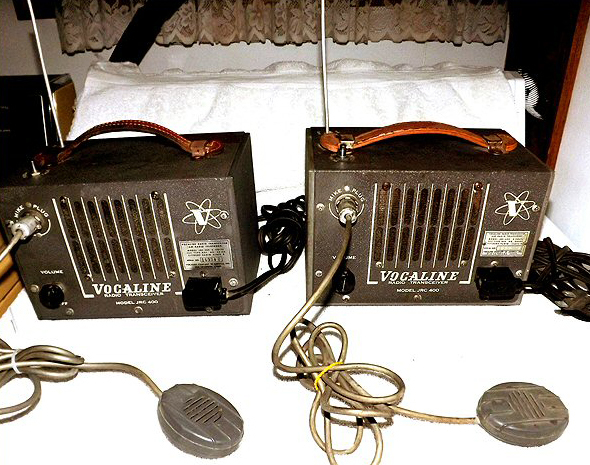 This rare pair of mint condition Vocaline 465Mhz CB transceivers are housed in the communications collection of the Museum Of Yesterday. The museum wishes to thank Mr, Jim Lewis, W8MGZ, for the donation of these fine examples of early CB radio transceivers. 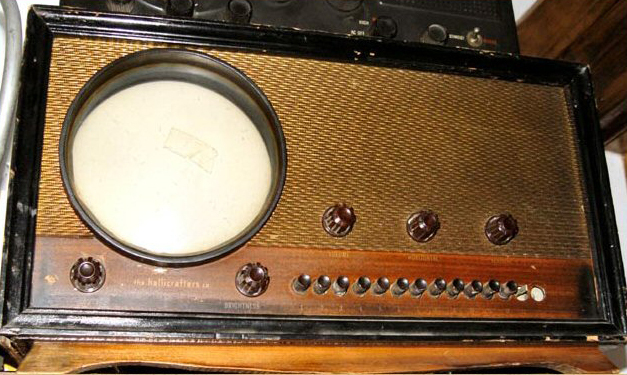 Although Citizens band radios became available just after the War, it was not until some 15 years later that a reasonable band allocation became available. Only then did CB radio, as we know it, catch on with the American public. By the year 1966, the Citizen's Radio Service had become a well established fixture in the radio spectrum. The Federal Communications Commission had approved a frequency swap with the ham radio interests, taking the eleven meter band and allocating it as the new 27 channel Citizen's Band, while returning the use of the 160 meter band, which had previously served as a public service spectrum for police and emergency responders during the 1930s an 40s, to the licensed amateur radio service. 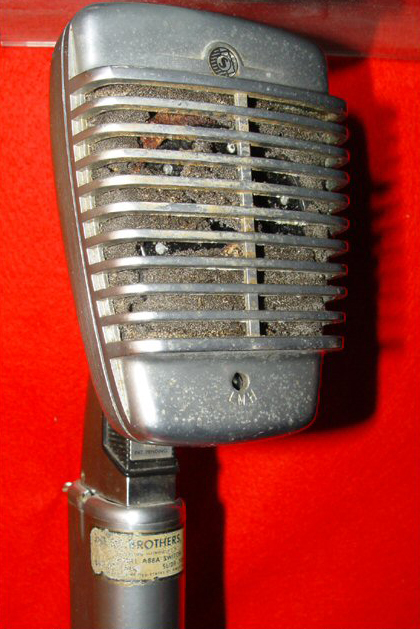 In the early 1970s, Citizens Band radio use literally exploded. It became so popular that the FCC allocated additional channels resulting in a total of 40 available channels. Single SideBand CB radios also were also introduced during that period. At the height of this phenomenon, the CB band had grown and developed a personality of its own as millions of youngsters discovered its use as a social media network, and almost every commercial trucker and private automobile owner had equipped their vehicles with 2-way CB radio. 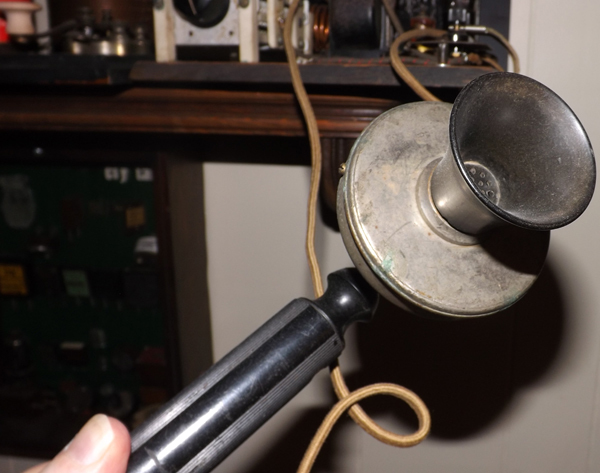 There is discussion even today as to whether the creation and ultimate popularity of CB radio was indeed a double-edged sword for the licensed amateur radio service. 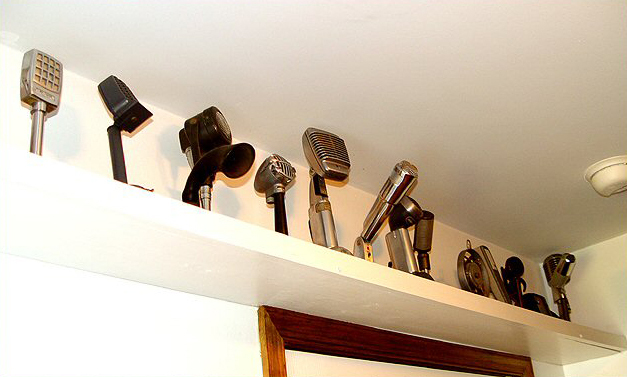 Many CB radio operators, who became disgusted with the crowded conditions and mostly unregulated use of the service, went on to obtain ham radio licenses. This resulted in a boosting of the ranks of a hobby that had seen a slump, as its target audience of potential young licensees moved on to computers, video games and other more promising technical hobby endeavors. 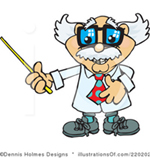 Likewise, many newly converted former CB'ers brought their bad habits over from Eleven Meters to the more serious and regulated ham radio spectrum. A demand by many who had barely passed the former 5 words-per-minute code license requirement, now demanded that the code requirement be removed. The FCC caved in to public opinion, and "codeless" ham licenses were established. Some could argue that the strength of the hobby is in the numbers of licensed ham operators, however, it can also be said that many new hams were simply purchasing plug-and-play radios and were not really keeping the spirit of the hobby which is to learn the technology from the ground up, and to be a prepared "army" of radio operators in time of emergency. 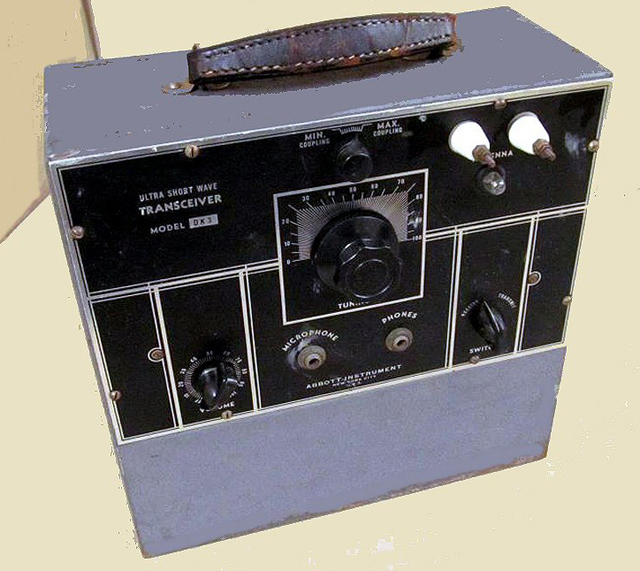 One of the earliest reliable CB transceivers to hit the market, for use in the new 27 channel 11 meter band, was the Johnson Messenger (shown below). This crystal controlled vacuum tube radio manufactured by the E.F. Johnson Company, a leader in the ham and military radio products market, enabled many businesses, trucking companies, and individual users to become equipped with reliable mobile to base 2-way radio communications. These units boasted the legal limit of 5 watts of radio frequency power, and their plate modulated transmitter sections packed the necessary punch and reliability to make E.F. Johnson the leader at the time in CB radios. From the very earliest experiments where Thomas A. Edison was able to capture the sound of the human voice, man has sought better and more permanent means for storing historical audio information in a manner where it could be reproduced in the future. The value of such technology was soon realized in terms of recording of court records and documents through the use of dictating machines that could store spoken information. 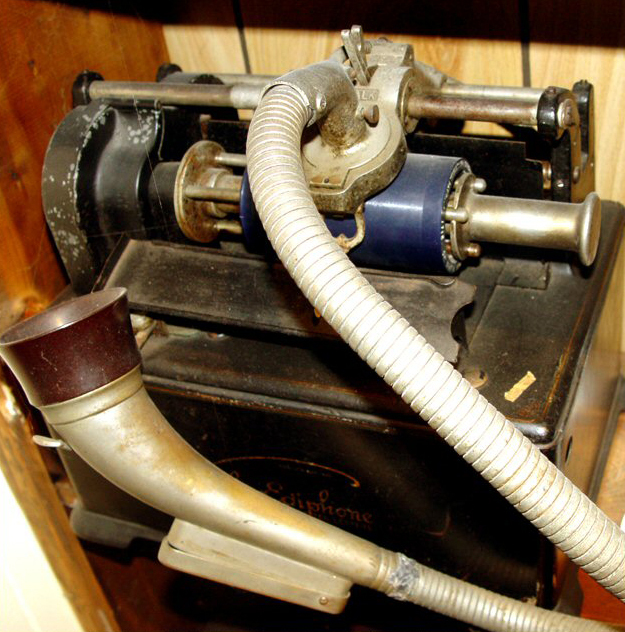 The Edison Dictograph, shown above, made use of Edison's wax cylinder technology that was, at the time, the most reliable way to capture audio onto a recording media. By the advent of the "Golden Age of Radio," there was a need to distribute syndicated radio programs which did not have network status. 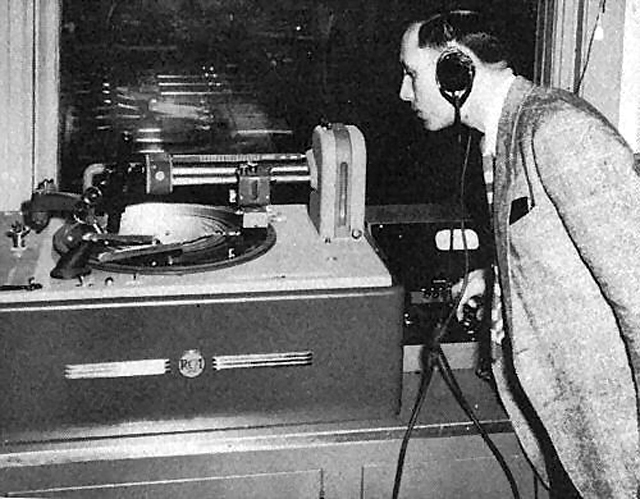 Since the Berliner disk recorder had, by then, become the standard of recording, engineers devised a method of transcription using 16" wax or vinyl disks that could be played on specially designed record players. Vinyl transcription recording continued throughout World War II, especially in the non-military sector. Home recorders, which were basically phonographs with a second tone arm for the purpose of recording on blank vinyl disks, were also popular during the 1930s and up until the end of WW-II. While Vinyl recording remained a popular method of distribution for decades after the war, a new invention had come into existence as part of WW-II military development. 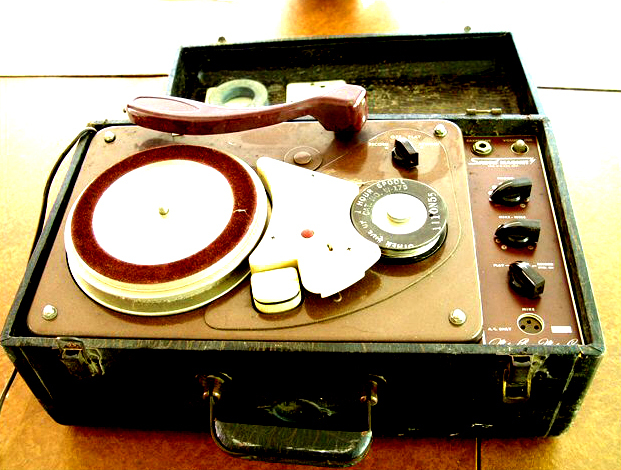 It was the wire recorder, a device which made audio recordings on magnetized steel wire. These devices, which were primarily produced by Webster-Chicago Company, remained popular for a short time after the war. After a period of only a couple of years, recording utilizing magnetic tape, replaced wire recording as the preferred technology for both home and commercial reproduction of sound. 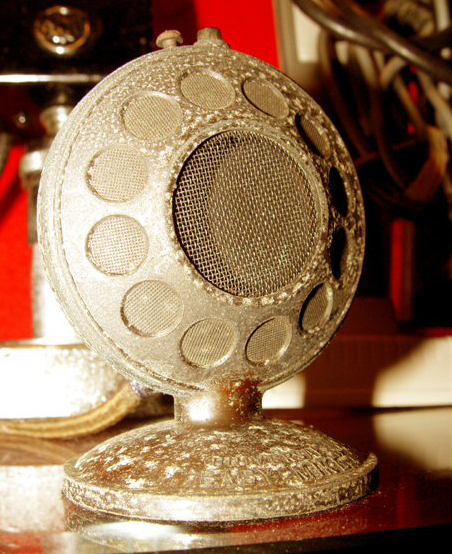 By the 1990s, all previous methods of recording began to fade from popularity as computer sound recording became widely used. Today, however, there is a trend back to Vinyl. 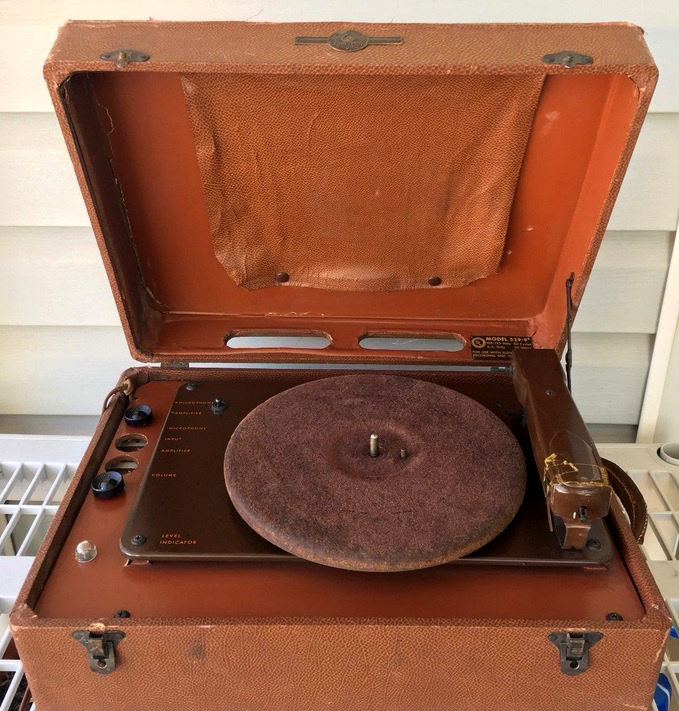 Time and experience has proven that Vinyl recordings maintain their longevity, as evidenced by the existence of still playable 78 RPM records from the early part of the 20th Century. Many audio experts have also discovered that Vinyl recording yields a more rich and warm sound, especially when reproduced by vacuum tube amplification, and many audio connoisseurs are now collecting and producing Vinyl recordings again, and utilizing tube amplifiers for listening to these disks. An example of a 16" Vinyl transcription disk as was used in the 1930s-1950s for distribution of syndicated radio broadcasts and educational materials. These unique disks could hold a program approximately 30 minutes in duration, and the groves typically ran from the center of the disk to the outside, opposite of typical phonograph records which played from the outside circumference. Many of the archived programs recorded prior to World War-II were lost due to the government program to recover the vinyl material for other wartime uses. 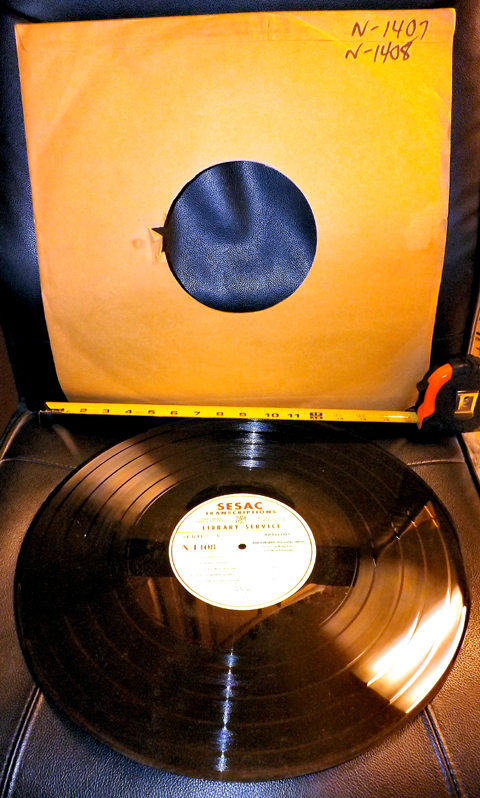 While home disk recording in the 1930s was a non-precision operation generally done on a modified phonograph turntable, Special lathes were employed to produce these commercial disks, the leader among which was the Scully Company. The photo below illustrates how radio station engineers created the Vinyl transcription disks shown above. In addition to the professional lathes used in commercial transcription applications, several manufactures of the period introduced home disk recorders. One such exanple of a disk recorder/player, is this Emerson unit from the late 1940s. 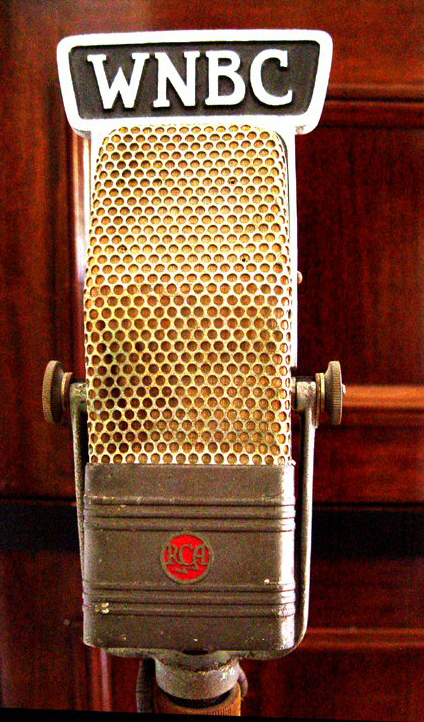 During World War-II, a new means of recording was needed in order to compensate for the mobil and ship-board applications that the military faced. Because it was inherently affected by vibration and movement, Vinyl disk recording was virtually impossible in shipboard and roving military applications. 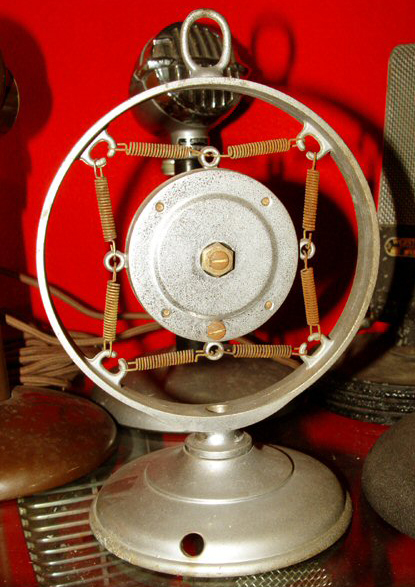 In the first great advance since Edison's basic grooved record technology, the Webster Chicago Company, a notable manufacturer of public address and audio products, pioneered the principle of recording sound on magnetic media. Webster's steel wire recorders were used extensively during the war in submarine and other services. Immediately after the war, Webster released the new technology on the civilian market. 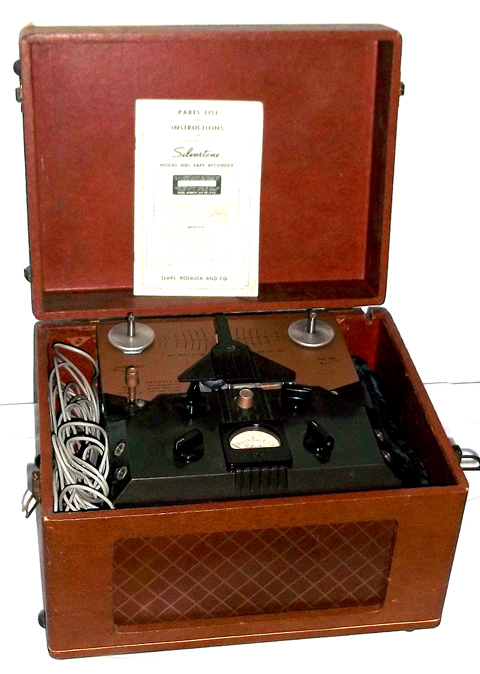 This Webster Model 80-1 Wire Recorder was the gold standard in early post WW-II recording instruments. Another post-war relic, this 1940's recorder placed sound on a thin steel wire. The take-up reel also doubled as a phono turntable. 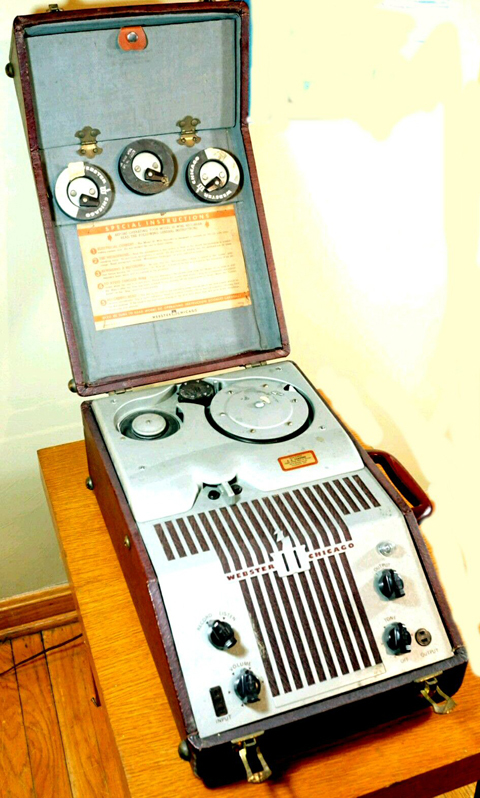 Not long after the magnetic wire recorder was introduced to the civilian market, the technology was replaced by recorders that used magnetically coated paper and later plastic tape as the recording media. This recorder, sold under the Sears Silvertone name, was a prime example of early 1950s tape recording technology. Once magnetic tape recording was perfected, it was not long before commercial broadcasters switched from 16" vinyl transcription disks to magnetic tape for archival and delayed programming. 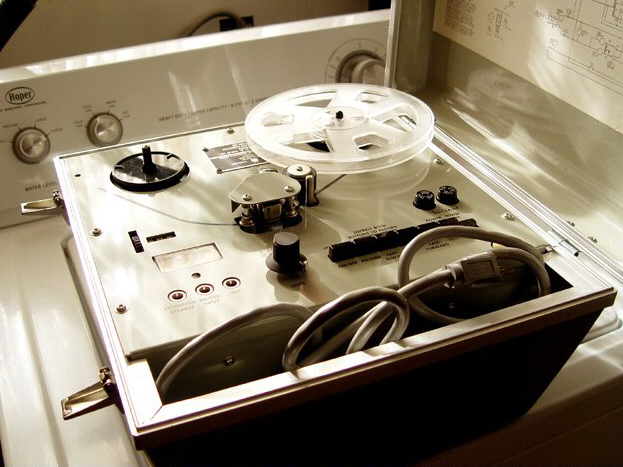 A later Reel to reel magnetic tape recorder, designed for the U.S. Navy and dating to the late 1950s. 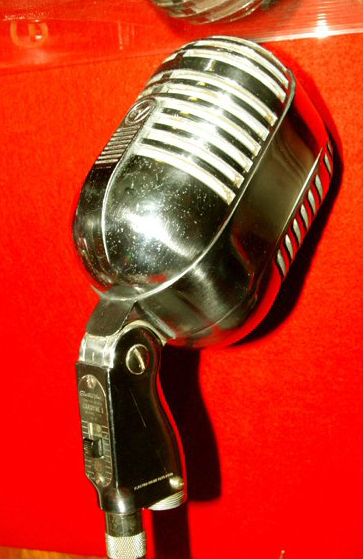 Early model of Turner D-104 "Lollypop"
A Philmore Crystal utility mike used for home disk recording and public address applications. 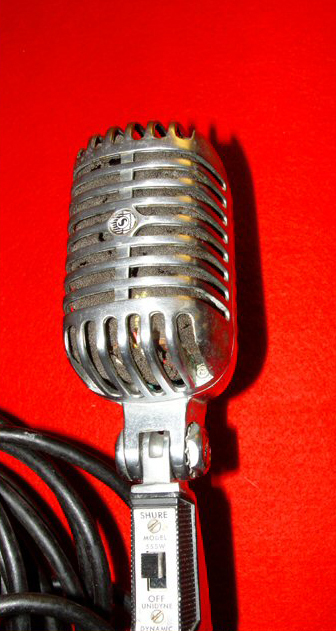 The Shure Model 555W which rose to fame in a classic 1950's publicity photograph that featured Elvis Presley singing into one of these mikes. 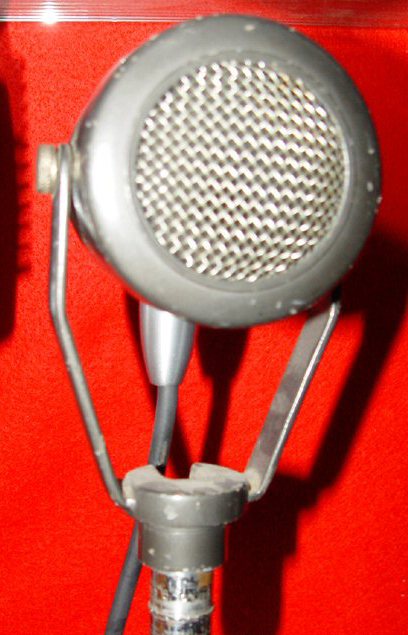 The same model microphone is also featured on the lead-in to the popular TV series "Two and A Half Men"
Another 1950's communications and general purpose microphone by Shure Brothers Co. 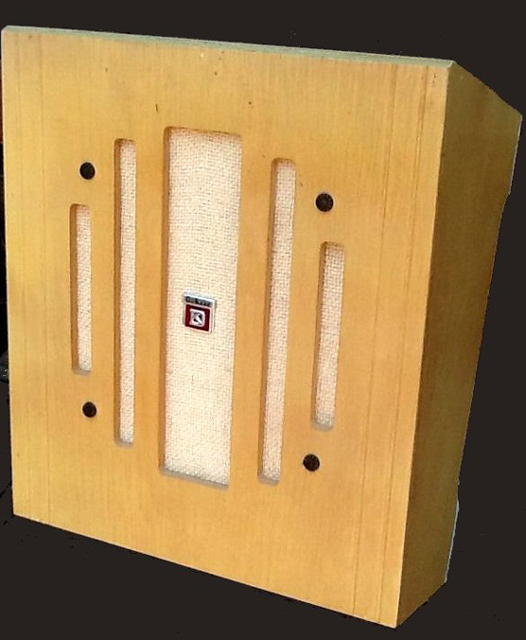 This public address speaker, by DuKane Industries, was typical of wall-hung baffles used in the 1940s through the 1970s for public address and music in public spaces. Similar baffles were also made by companies such as Quam, Utah and other speaker manufacturers. The units usually were equipped with an 8, 10 or 12" permanent magnet speaker along with a 70.7 Volt transformer to enable matching the 8 ohm speaker to a commercial amplifier's output without line losses. Throughout the mid-20th Century, they could be found in most churches, auditoriums, school classrooms and other places of public assembly. THE INVASION OF THE "ONE EYED MONSTER"
Above and below, you will see photos of a 1948 Hallicrafters seven inch TV receiver. The set above, presently in the museum's collection, is similar to one that Mr. DeMajo's grandparents had in their home in that era. 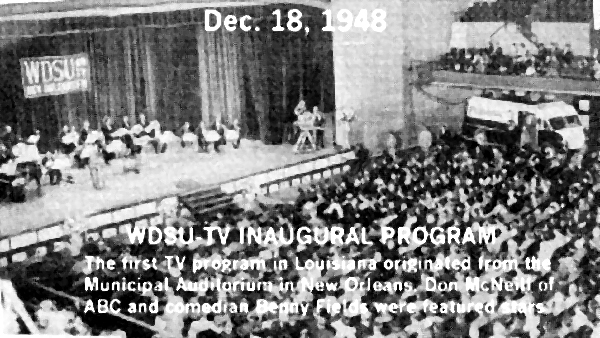 It was one of the first TVs sold in New Orleans, and its introduction coincided with the 1948 introduction of one of the south's first TV stations, WDSU-TV in New Orleans..
On the evening of December 18, 1948, The extended family, along with neighbors and friends, gathered around to watch the inaugural broadcast of WDSU-TV which emanated from the New Orleans Municipal Auditorium, and starred radio's Don McNeill, host of the nationally broadcast "Breakfast Club" program. Obviously television has come a long way in the last half-Century, and this 7" primitive set is hardly recognizable in light of today's large screen digital LCD and Plasma television receivers. An interesting fact about this Hallicrafters TV is that it has Channel 1 on it. In the very early years of home TV production, the available channels were 1-13. After finding that Channel 1's allocated frequency was interfering with pubic service bands, in 1948, the FCC reallocated this frequency, and thus Channel 1 was omitted from all VHF era TV sets manufactured after that date. At the time when this set was manufactured, there were no UHF channel allocations, so the available channels on TVs manufactured in the late '40s and early '50s ended with Channel 13. 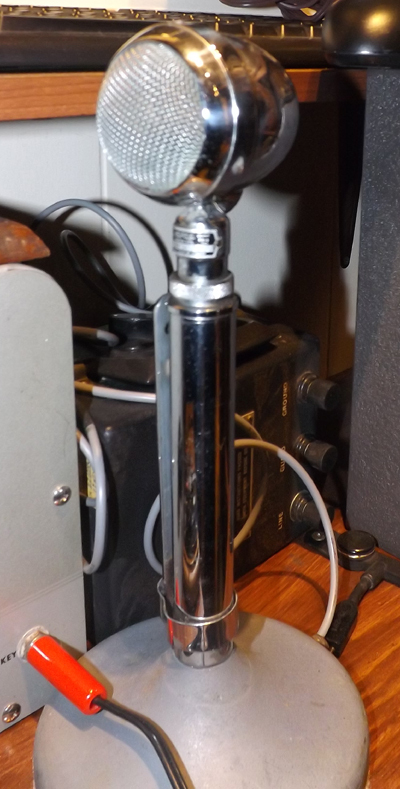 Once UHF channels became authorized, converters were sold which enabled reception of UHF channels by receiving and then re transmitting them onto one of the vacant VHF channels available on the early sets. 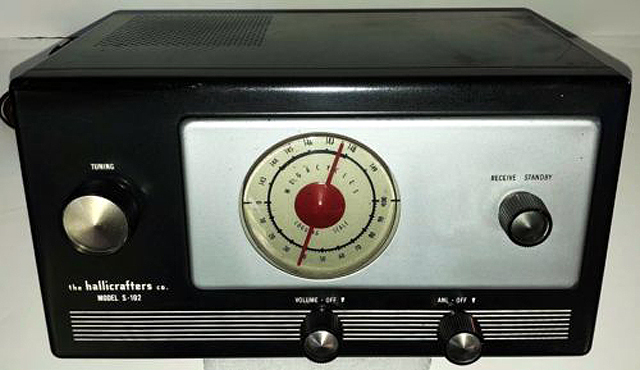 Some manufacturers, such as RCA, offered a technician installed tuner retrofit that also made UHF available via the regular channel selector on some sets. 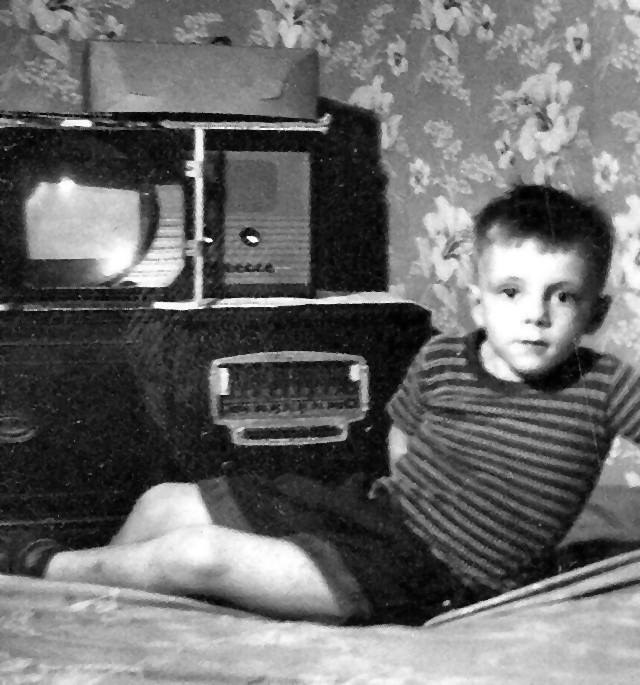 A surviving photo of the 1948 Hallicrafters TV owned by Mr. DeMajo's grandparents. 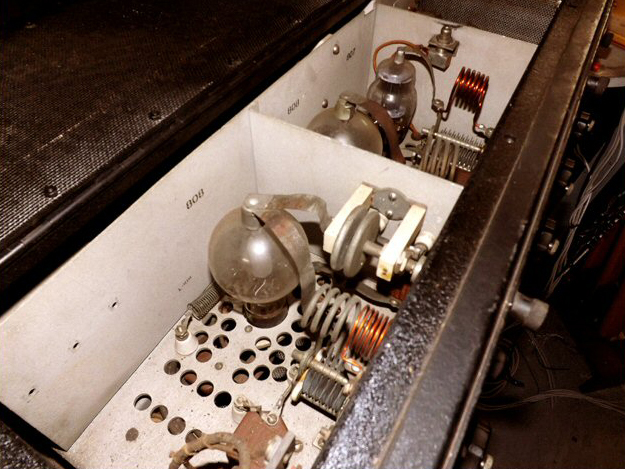 It is shown sitting atop their Model 1121-PF Stormberg Carlson radio-phono console. 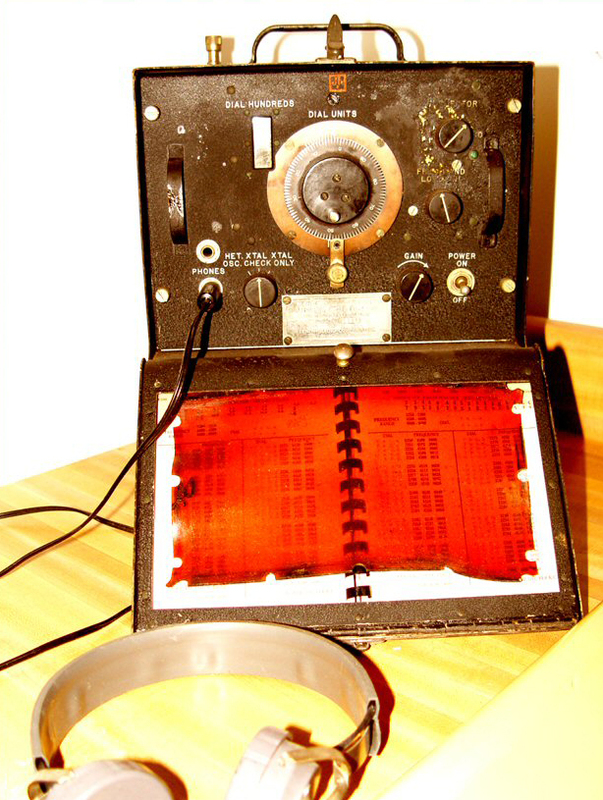 Note the magnifying lens in front of the picture tube, which makes the screen look somewhat larger in the photo. 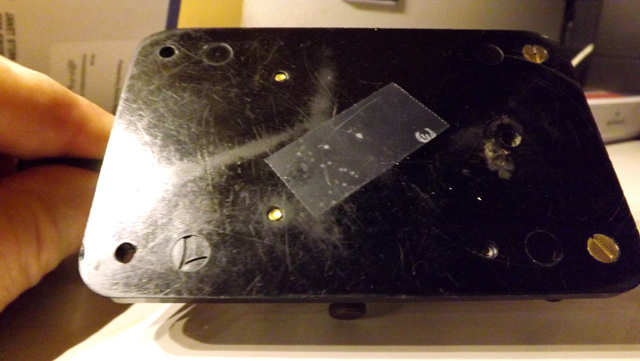 This was required in order to view the seven-inch screen used on early TV sets. Yes, that is your museum chairman, at about the age of three, in the photo. While the museum collection of communications equipment specifically highlights those devices which were in use during the development of radio and the "Golden Era" of programs, we are cognizant of the fact that early television, in the 1946-1950 period, was an important factor in the direction that the medium would assume, and in it's collateral damage to the radio broadcast industry. We therefore have made the decision to feature a very limited number of examples of early television receivers in our collection. 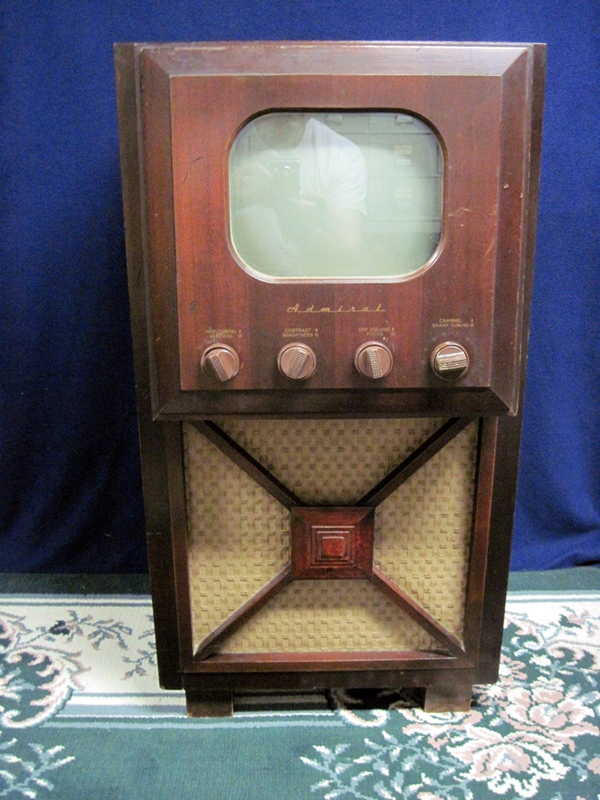 The 1946 Admiral set above, which was recently acquired, joins our 1946 Hallicrafters set as an early example of monochrome television receivers from the pioneer days of television. Note that the photo above is from the previous owner, and it shows the set in it's unrestored condition. At this time, it is undergoing restoration in the museum's shop, so updated photos will be forthcoming.